I was doing some work over the last couple of weeks gathering the forces of evil to fight against the other Surcoat units I had put together. More about those simple Surcoat minis can be found here. Here are some pictures I took of the figures on their bases. As I was looking around for some inexpensive 54 mm minis to stand in as evil guys, I ran across some bags of skeletons on Amazon that were less than $7 at the time. I added them to my cart and watched the price fluctuate until they were down below $5, then I snagged six bags of them. They're nothing special but with 30 in a bag, they will help bulk out an evil army on the cheap. These will generally be Medium troops, easy to kill with no morale checks required. They had a decent selection of models/poses in the bag though the distribution was lousy. Out of 120 figures (122, actually), there were 29 with the double axe, 20 with the overhead scimitar, 19 with the sword & shield, 20 with the spear & shield, 6 with the mace, and 28 archers. I set the maces aside with some of the double axe wielders and took the remaining double axe wielders, the scimitar wielders, and the sword & shield fellas and based up 20 units, three to a base, mixed up in various combinations. The spear & shield will get their own units, though I am not yet sure if three to a base is the way to go with them. I will definitely have ten bases of archers, two to a base, somewhere down the road. The remainder will be filler pieces for repairs and such. I had a Pirates of the Caribbean figure I snagged at a garage sale for $0.10 laying around and waiting to be part of a 54 mm Surcoat army, so I busted him out and slapped him on a base of his own to be a "leader" unit. I also based up a lot of the Dragon Strike minis I had gathered up some time back from American Science and Surplus in Chicago. They had some sprues of the teal and grey figures and I bought up what I could in bulk. Above, the trolls base up in pairs and make for good Heavy units. The Dragon Strike "Bugbears" above are a bit small for the 54 mm, so I go with three to a base, call them Medium-ish units, and refer to them as Hobgoblins (or they could stand in for Orcs easily enough). The dragon Strike "Orcs" below work out as good 54 mm Goblins, IMO, and with the handheld crossbows, act as good Light units with ranged weapons. 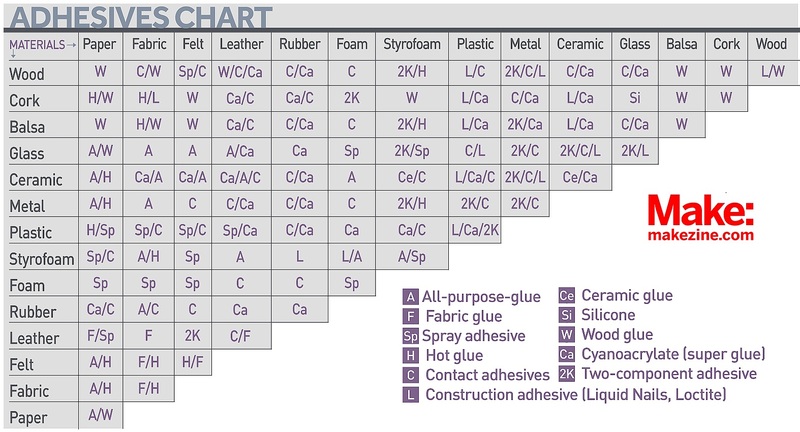 Finally, I also wanted to share an adhesive chart I saw posted elsewhere. I move some of the graphics around on it, to tighten it up a bit, but the logo and whatnot are all still included.